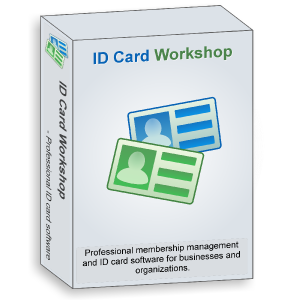 The version 3.7 of ID Card Workshop has been released, It is a professional ID card designing and membership management software developed by ID Card Workshop Team (A division of PixelApp Ltd.). The new 3.7 version has added user roles management feature, which enables users to manage authorization of user login. "The new user roles management feature is integrated with the UAC feature of Windows. " said Alex Li, the director of the team. " Compare with competitors, the user roles management feature provides higher security and more pre-set privileges to manage ". Another main improvement that comes with the new version is optimized for Zebra printers, With the helps of the ISV program & development department of Zebra, the new version of ID Card Workshop is been tested and prints seamlessly with Zebra printers, which provide better compatibility to Zebra ID card printers. 1. Added user roles management feature. 2. Added setting feature to enable users to create feature-alone shortcuts to Windows desktop, select default project. and customize record page size. 3. Added photo viewer feature to data editing and new member enrollment, to provide convenience for preview large-sized photos. 4. Added calculator feature to data editing and new member enrollment, to provide convenience for editing numeric data fields. 1. Fixed a bug on project creation. 2. Optimized for Zebra printers. 3. Fixed some mirror bugs. ID Card Workshop is an all-in-one id card making, designing and membership management software, it enables users to create ID cards, staff cards, employee badges, membership cards by just few mouse-clicks and manage member data or employees data with its inbuilt database management features and verification features. For small business owners in the industry of restaurants, photo studios and clubs who wants to create their in-house membership system, ID Card Workshop is definitely the best choice. In another hand, ID Card Workshop can also help employers to create and maintain their employee systems and visitor systems.